You might curse your skin for being oily, greasy, and shiny all the time. Oily skin calls for regular high maintenance because the risk of acne, blackheads, pimples is higher. But let me tell you one best thing about oily skin. 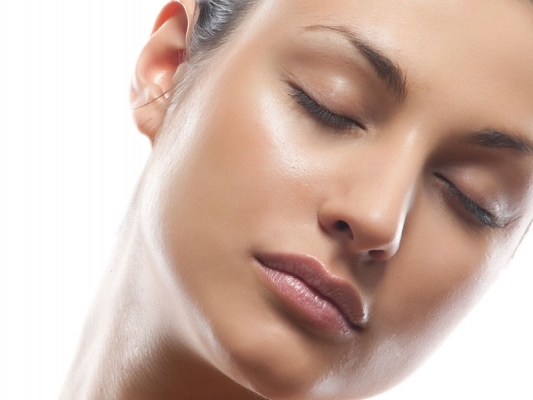 Oily skin ages late, you remain young for longer. Use a mild cleanser. Don’t hover on face wash for every time you wash. Instead wash with water 3-4 times a day. Stick to a toner. Find a toner which contains witch hazel and glycolic acid. Use a gel based moisturizer but don’t skip this step. Moisturizing is very important. Read about Clinique dramatically different moisturizing gel. Use oil control blotting sheets instead doing touch ups. Loading on powder may make you overdone and caked. Mineral powders are best friend for oily skin. They are good at controlling shine and give long lasting matte look. My favorite is Inglot Translucent Loose powder. Mineral powders provide sheer coverage. To get better coverage use compact with foundation. Try MAC studio fix powder plus foundation. Oily skin attract a lot of dirt, so keep it as clean as possible. Use a purifying a face mask every week. Lush crash course in skincare does a great job. Oily skin is prone to blackheads and acne. To avoid it use a mild exfoliator twice a week. Clay masque is the best friend for oily skin. use clay masque to minimize pores and reduce the risk of acne. Having oily skin doesn’t mean skipping sunscreen. Use non greasy mattyfying sunscreen.